While the Rockman Unity App hasn't uploaded any new wallpaper's for this month, Capcom themselves managed to sneak a few out that you might like. 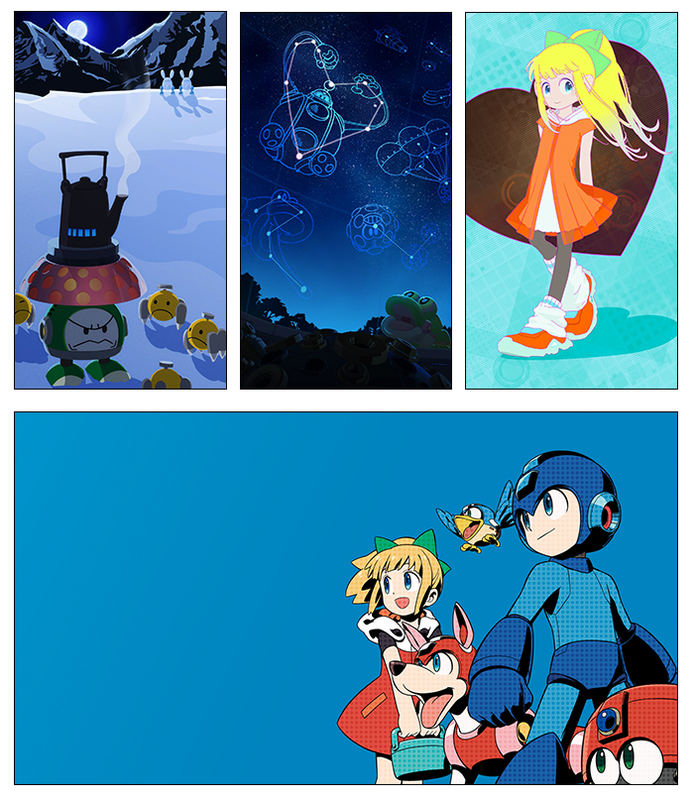 The three mobile wallpapers pictured above were designed by the Rockman 11's UI team (via Rockman Unity's Twitter account and blog. Thee Roll-themed wallpaper on the right was specially created to celebrate Valentine's Day. The bottom wallpaper is for your desktop. It's a hi-res version of the Mega Man 11 Original Soundtrack cover art. You can download all these wallpapers right here! Speaking of which, the soundtrack is now available to be purchased Steam for $12.99 or 10,79€. It's also available to listen to for free on Spotify, as we reported some days ago. There's something really funny about this. The soundtrack was already registered on SteamDB a week before it released on iTunes and Google Music and yet was released to the public until today. I presented this issue to the tech support thread on the Steam forums, I checked it today after seeing this and I find that the thread was closed and all of the messages were deleted.